Recently I’ve started to use our sushi plates for other types of food then sushi. I like the shape of them plus that they are smaller than our regular plates. Eating on smaller plates is nice now when I’m eating smaller portions as it looks quite ridiculous with a tiny piece of food on our large plates. 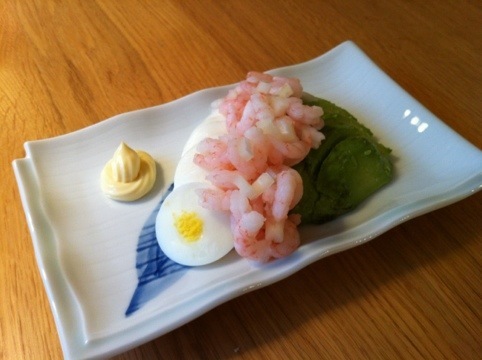 Today I made a shrimp, egg and avocado lunch. Very delicious!